It’s inevitable that your family’s wants and needs will be changing through time and it’s important to choose the right family home plans to suit over time. Decisions you will make with them will reflect various stages in your lives, and a lot of the time, how many there are in your family. You need to question whether you and your family are too close for comfort. Maybe that could mean that it’s time for change. Upgrading to a spacious family home plans could be the solution you have been searching for. Family home plans should include space for each member of the family, but also factoring in a highly practical design. Let’s look at a few factors to consider when building your ideal family home. Designing your home with a minimalistic feel will embrace the natural and easygoing appeal of this simple yet effective design. Through this kind of design, you can strike the perfect balance between comfort and luxury. Growing in popularity in modern design, minimalism has become a trend for a good reason. More than ever in our busy lives do we want to go home to a place that is going to provide us with relaxation and peace of mind. It’s a smart idea to strip things back and embrace a lifestyle that emphasises less clutter and more of the space you and your family crave. Keep it simple – fewer things, bigger open spaces with a good deal of natural light beaming through. When the living spaces are wide open, the areas within it harness a greater sense of flow and connectivity. This family home plan feels comforting, warm, social, and invites a greater sense of family togetherness. Another reason why this plan is popular is its ability to make a small, boxed-in space feel so much larger. Removing walls, or constructing a home without walls, will result in a home that embraces natural light, meaning there’s no dark or unused spaces around the home. The key in developing an outdoor living space is to ensure there’s a “connection” with the indoor living space. Ideally you want these two space working seamlessly, complementing one another. Incorporating an outdoor dining area, complete with comfortable seating will give your outdoor space multi-purpose functioning. As important as building a home that suits your family’s need is, choosing the right neighbourhood is just as critical. You will need to take into account safety levels, crime rates, affordability, area amenities and what the future prospects of the area are like. How the neighbourhood busy or quiet? Are amenities within walking distance? What are neighbourhood shopping and eateries like? Is it a developing neighbourhood? How close is the community? Current value of housing in the area? Choosing the ideal home for you and your family will be a very tough decision, no doubt. 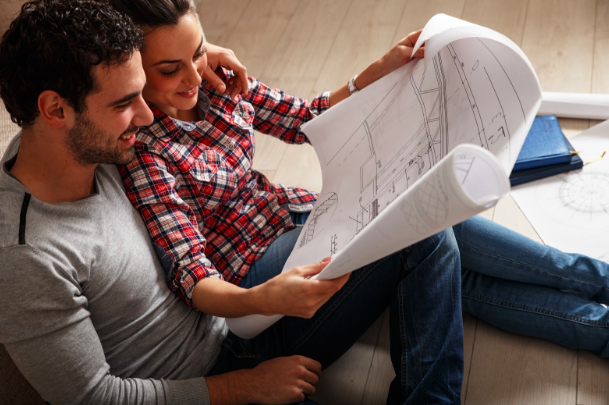 Whether you’re building, re-designing or moving into a house and land package, the team at iBuildNew are always happy to help you consider all your options before you make any commitments. Finding that dream home that sits within your budget and timeframe can be made simpler through a phone consultation with our expert panel. For more information on how you can get started, consult our experts on 1800 184 284. You can also book a call online. Single or Double Storey House Plans. Which one should you Build?